Kind of a throwback and a Man Candy Monday combined. The glorious Mr. Irons has given us much to admire, but let us look back on his seminal role in the original Brideshead Revisited, which first aired 33 years ago yesterday. Jeremy Irons has aged gracefully because he started out quite yummy. 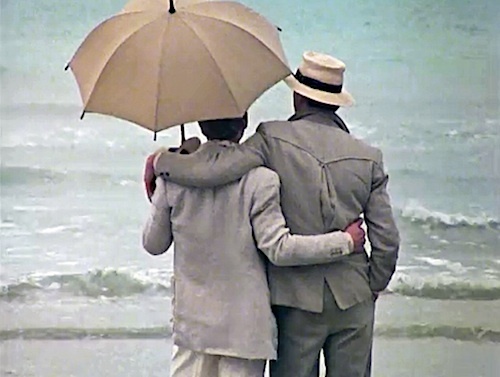 Jeremy Irons as Charles Ryder and Anthony Andrews as Sebastian Flyte – good friends! Whether evil pope or sharply dressed 1920s college boy, he’s some nice mancandy. Oh yeah, he’s easy on the eye.